Some UAW workers had considered the Blazer an affront to them given that GM builds the SUV in Mexico. The Traverse is built in GM’s Lansing Delta Township plant in Lansing. 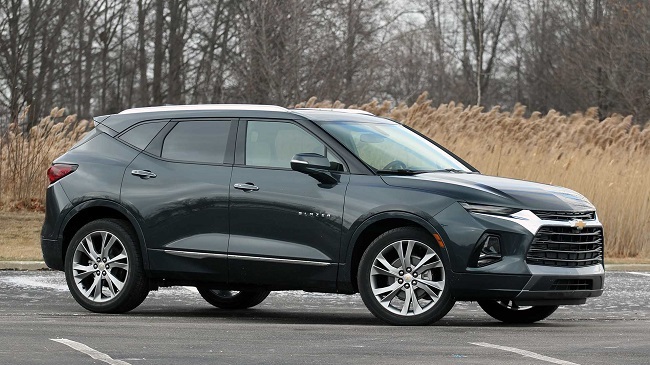 On March 26, GM hoisted a red 2019 Chevy Blazer SUV and a silver 2019 Chevy Silverado 1500 pickup atop the Chevrolet Fountain, replacing last year’s Colorado ZR2 and Traverse SUV. GM assembles the new Blazer at its plant in Ramos Arizpe, Mexico – a sore spot for the UAW, which had pushed to get the vehicle into a U.S. plant. And Comerica offers Chevrolet a lot of exposure, said Dziczek, vice president of Industry, Labor & Economics at the Center for Automotive Research in Ann Arbor. With the Blazer looming over the Comerica crowd, which often includes UAW workers, it would have been a reminder of Mexican production and U.S. plant closures on display, some say. That’s partly why GM opted to change it out. In November 2018, GM said it will idle five plants in North America this year and early next year, affecting about 6,200 jobs. GM has said the cuts are part of its restructuring – which also included cutting 8,000 white-collar jobs – and will save it $2.5 billion this year. The plants that were idled mostly build sedans, which have seen sales decline as consumers shift to buying SUVs and pickups. The official position by the unions about the Blazer’s presence at Comerica Park is murky, and complicated. A spokesperson for Canada’s union, Unifor, declined to comment on the Comerica Park display saying Unifor is not issuing any public comments on GM while in talks about the future of the Oshawa facility. The UAW did not have a prepared comment about GM’s display when asked about it last week. A request Saturday seeking comment was not answered by press time.